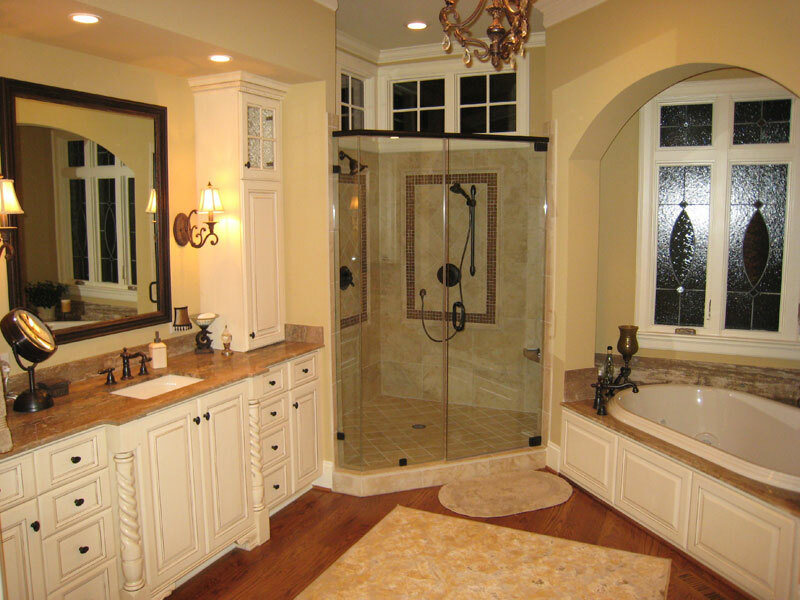 Elevated shower windows and leaded glass decorative tub windows provide both privacy and natural light. 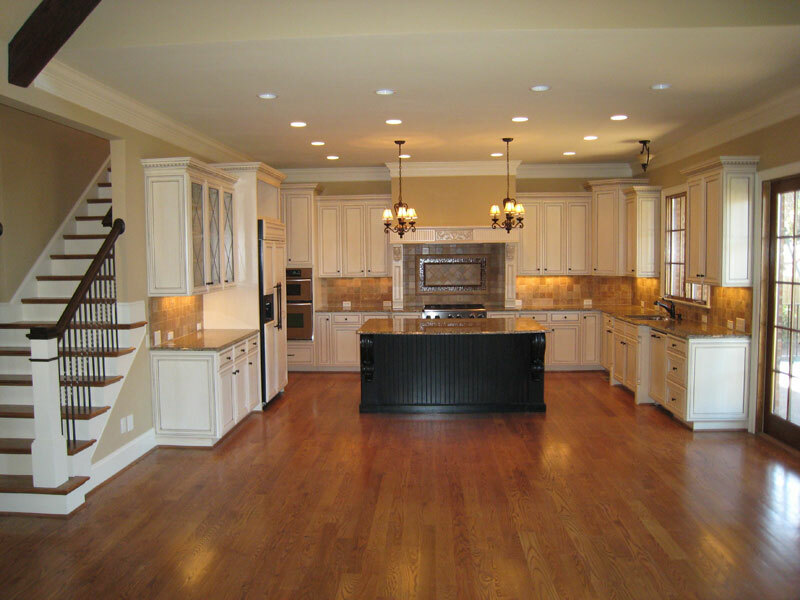 Wood floors provide warmth and simplify material selections. 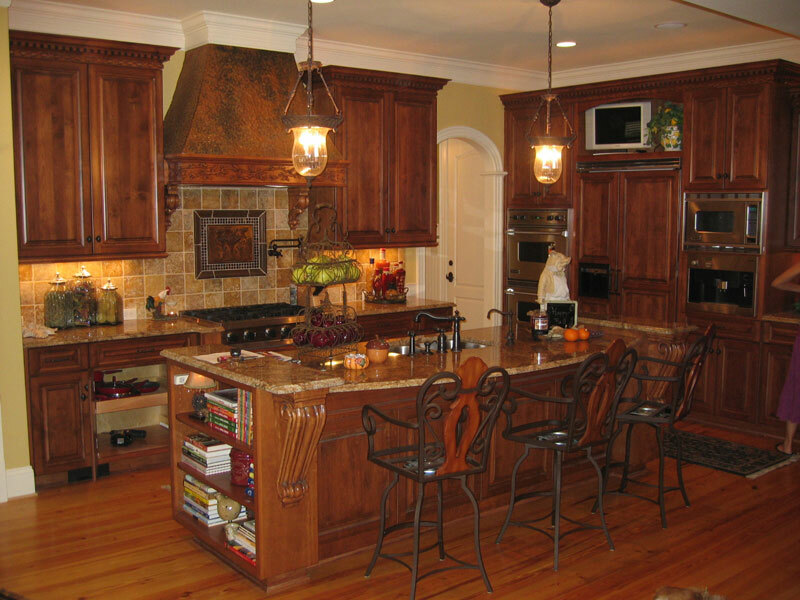 Varying cabinet heights, depths and finishes add interest to the kitchen without being overly busy. Glass doors and backsplash are subtle enhancements. 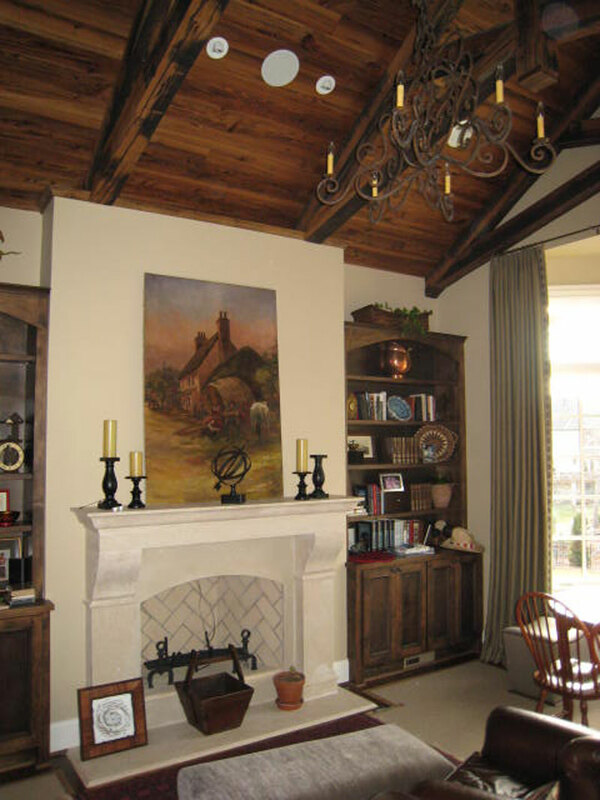 This reclaimed knotty cypress ceiling combined with the precast concrete fireplace provides the best of both old and new. 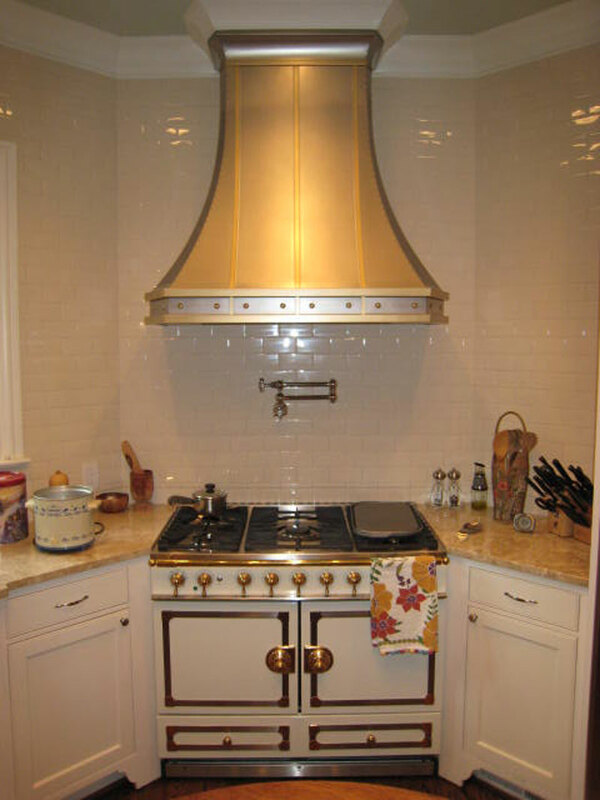 The featured La cornue Fe range is complimented by an equally impressive hood. Both are integrated into subtle, but high quality, surroundings. From the hammered copper hood to the bookshelves and built-in Expresso machine, all our cabinets are custom made to incorporate your lifestyle needs. 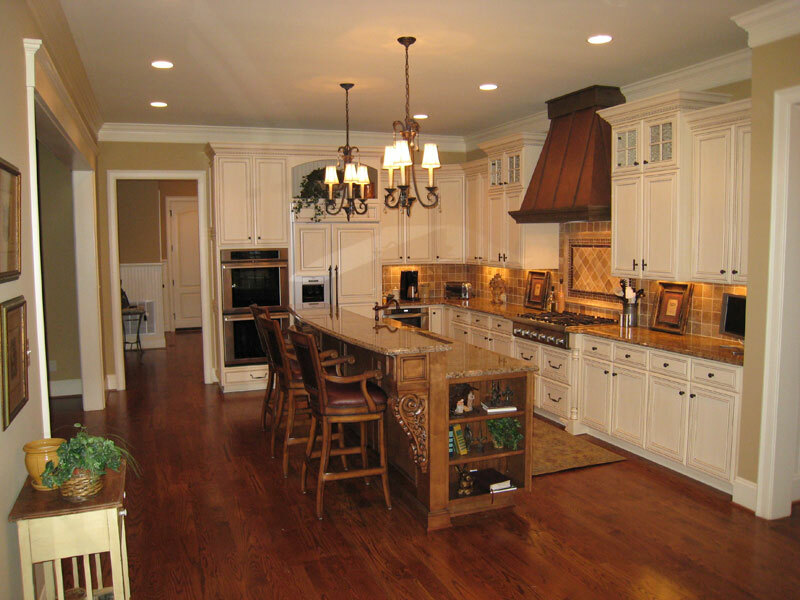 We try to include a variety of lighting options (under counter, over cabinet, accent, overhead, spot and natural) to ensure all room needs are met. 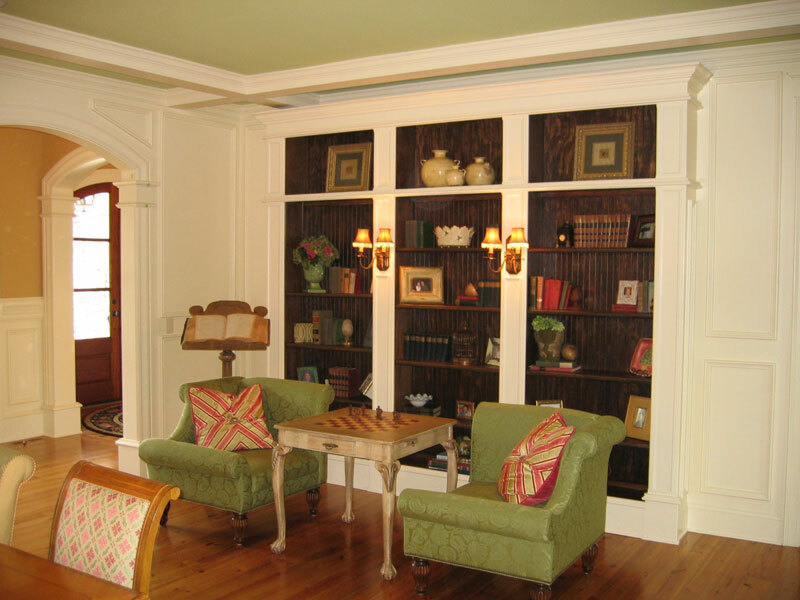 Custom moldings and millwork can contribute significant warmth and sophistication to rooms that otherwise have no unique architectural features. 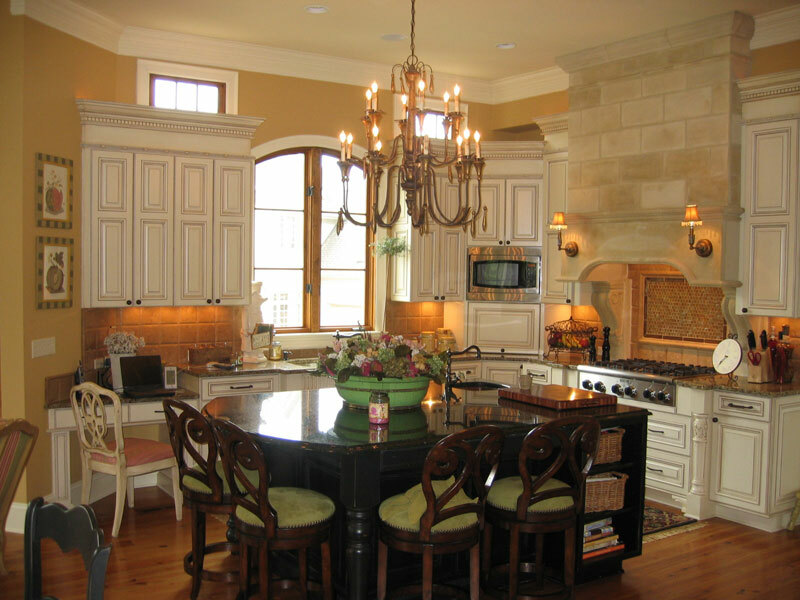 Our job was to bring this Interior Designer’s personal kitchen to reality. From the unique structural requirements of this concrete hood to the hidden sconce wiring we try to anticipate all those important “behind the scenes” necessities. 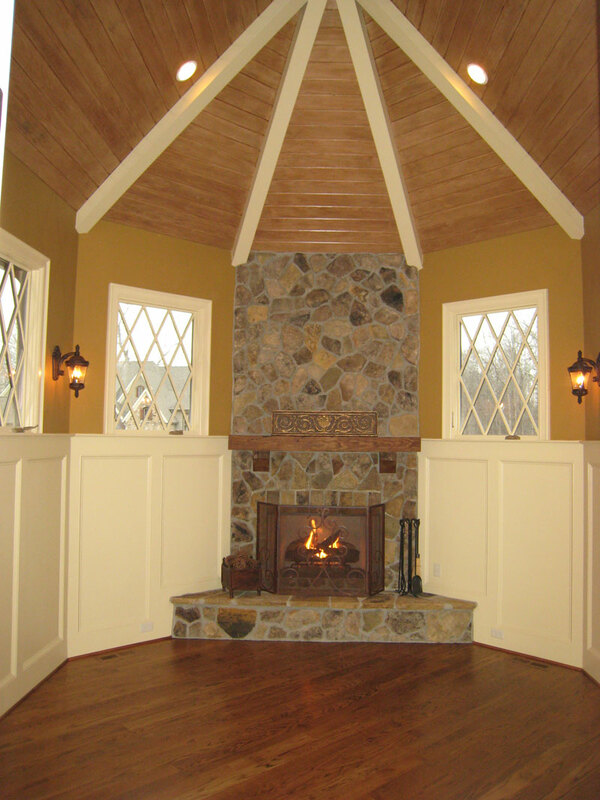 This study combines a feeling of spaciousness, privacy and character from the ceiling details to the Tudor mullions, stone fireplace, wall paneling and sconce lighting.